rings earlier this week. Their season kicks off tonight against Manitoba. We've made it. It's hockey season. The defending national champions, the University of North Dakota men's hockey team, kicks off its repeat bid as they take on the University of Manitoba Bisons in exhibition fashion tonight at 7 pm from the Ralph Engelstad Arena. Let's say that once more, shall we? The defending national champions, the University of North Dakota men's hockey team. Man, that feels good. 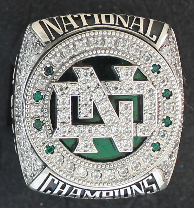 UND has already gotten its rings and green banner No. 8 will be hoisted into the REA rafters tonight and the memory of last season's incredible run has DDC thinking, will the Green and White do this again next year and potentially raise No. 9? Well, we shall see, but these three storylines are going to go a long way to decide if UND can celebrate in Chicago in April. 1) Can the 'D' do it Again? The 2015-16 UND squad was simply loaded. They were a special team that could score in bunches, but also completely shutdown an opponent defensively. While the Green and White return four defensemen that played heavy minutes last season in now two-time Captain Gage Ausmus, dynamic offensive defenseman Tucker Poolman, Christian Wolanin and Hayden Shaw, outside of that top four, the final two spots will needed to be figured out quickly. UND carried the second-best scoring defense in the NCAA last season, allowing just 1.84 goals a game. Losing Troy Stecher, Paul LaDue and Keaton Thompson to professional contracts doesn't just leave a hole in UND's 'D', it leaves a chasm. The Green and White still sport Mike Richter Finalist Cam Johnson between the pipes, but will need to figure out the last two spots on the backend to make a deep run this season. The CBS line of Drake Caggiula, Brock Boeser and Nick Schmaltz is no more. While Boeser remains and is a legitimate Hobey Baker preseason front runner, the loss of Caggiula and Schmaltz to the NHL ranks means UND needs to figure out how to replace a combined 97 points. That's a lot of scoring. The CBS line was a special blend of speed, power, defense and scoring touch. Can the Green and White find a duo to pair with Boeser on the top line? What about the rest of the lineup? Who is going to step up to produce? Austin Poganksi, Shane Gersich, Rhett Gardner and Chris Wilkie could go a long way to help shore up the top 6 forward group. Can highly-touted freshman Tyson Jost turn into the playmaker Schmaltz was last year? He certainly appears to have the talent. DDC believes we may see Jost and Boeser paired together and he'd be surprised to see Gardner and Poganski split up because they spent so much time playing together last year. Can the speedy Gersich step into Cagguila's game-breaking, goal-scoring role? We shall see. 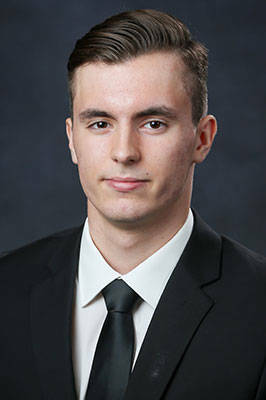 Coming into last season, UND was looking to replace an all-world goaltender in Zane McIntyre with three netminders who had barely seen the ice in their college careers. Well, with all those questions, Cam Johnson became as much as a sure thing as UND has ever seen, becoming a Mike Richter Finalist with a tremendous year. Matt Hrynkiw proved he was a solid backup, too, going on a great, early season run with Johnson shelved with an injury. What about NHL draft pick Matej Tomek? Highly regarded coming into the 2015-16 season, an early injury hindered Tomek's chances of seeing any ice time. So, once a huge question mark, the goaltender spot for UND is now a strong point and we could very well see a battle for playing time between these three. DDC believes Tomek will get his shot, this season. NHL teams don't draft goalies early in the draft for a player that isn't incredibly talented. As we start the season, Johnson deserves to be the starter. But, was Cam's year a product of an incredibly special defenseman group? DDC thinks it helped, but Johnson certainly held his own. However, this will definitely be a battle for time this season. Despite losing a lot to graduation and professional contracts, UND is still well suited to make a deep run with key players in each position group. So, until they get topped, DDC has the Green and White on top. 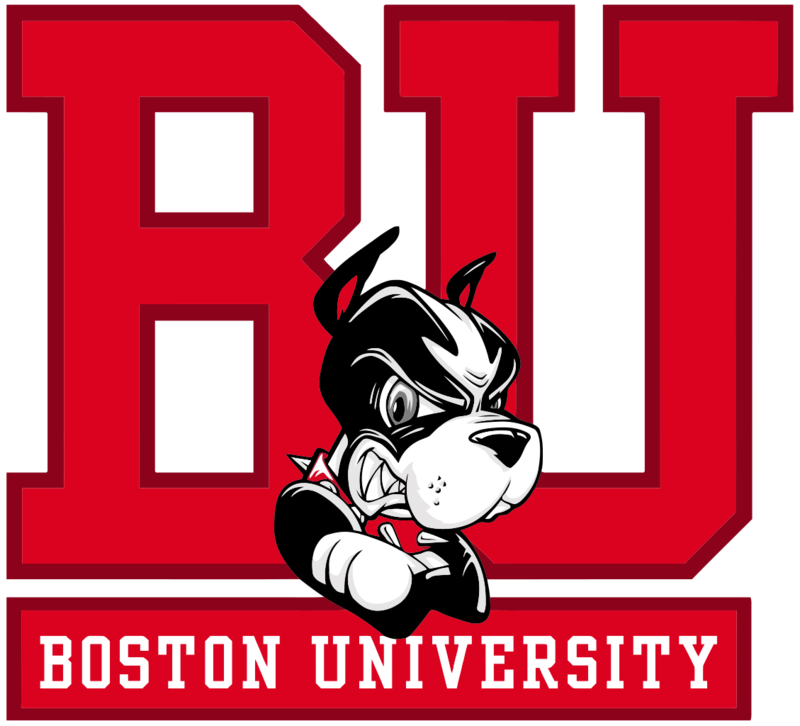 Boston University brings in one of the most dynamic freshmen groups in recent history, with NHL first-round picks Clayton Keller, Dante Fabbro and Keifer Bellows while returning fellow first-rounder Charlie McAvoy. Can all that young talent produce big results? Denver lost a lot, but brings back all-NCHC picks Dylan Gambrell and Will Butcher in front of veteran netminder Tanner Jalliet. 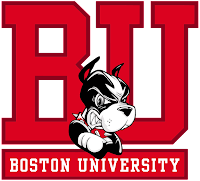 BU vs. DU in early October will be a true test for both teams. Can a budding team like Bowling Green or Wisconsin get all their pieces in place to make a run? It'll sure be fun to watch and find out. 2015-16 season as UND looks to repeat in 2016-17? Call DDC a homer. He's fine with it. Like he said before, until someone takes down the defending national champs, UND is tops of the league. 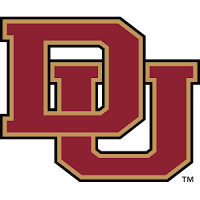 Jost looks like a generational-type player and while players like Austin Ortega from Omaha and UMD's Tony Camoranesi may have something to say about that final forward spot, DDC leans Green and White. UND has the most pieces in place right now and the rest of the teams seem to have a few more question marks. UND is 12-0 all-time against Manitoba, outscoring the Bisons 72-21 in those 12 games. Tonight isn't about wins and losses, but more about taking a look at some new pieces. Who will group with Boeser on the top line? Will Jost show of his Top 10 NHL draft pick talent? How about Tomek? How much time does he get in an effort to earn time between the pipes? Last season, the Green and White rolled to a 8-3 victory and tipped off the REA faithful that something fun was brewing in Grand Forks. DDC thinks this happens again. Jost gets his first and adds an assist, Johnson and Tomek start their battle and slow a hyped-up Manitoba squad and Boeser shows while he'll be a Hobey front-runner this year with a pair of goals. It's here, hockey fans. It's time to RAISE 8 and start the run to No. 9. Come back next week to see how it went down. Thanks for reading! For the first time in 16 years, it's been a celebratory offseason. It's been 172 days since we saw the UND men's hockey team skate around Amalie Arena in Tampa, FL with the National Championship trophy. Before DDC takes a look ahead, let's all reminisce, one more time, shall we? One last time ... what a team. While the pressure of once a seemingly unending, unbearable streak of frustration is over, the goal for the 2016-17 version of the Green and White remains the same as all previous incarnations of UND hockey -- to win a national championship. The 2015-16 team was special. A squad stuffed with scoring, defense and tenacity, they finally cashed in on their all-time UND legacy. While many of those special players are gone, many remain and the expectations are still as high as ever in Grand Forks. Losing players like Troy Stecher, Drake Caggiula, Nick Schmaltz and Paul LaDue, all key cogs in the run to No. 8, will force the 2016-17 squad to look for answers as to who will step up into key roles. However, let DDC make one thing clear -- UND doesn't rebuild. We reload. Here's a look at what remains and who will be there to restock the talent load lost from the tremendous 2015-16 squad. 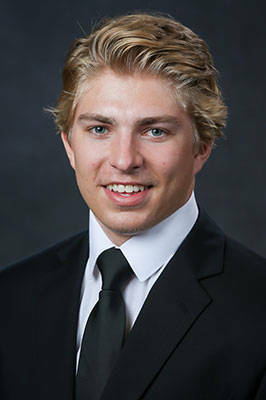 Boeser's unique blend of effort, power, speed and scoring touch led to one of the best freshman campaigns in UND history. Last year's NCHC Rookie of the Year is a Hobey Baker candidate and will wear an 'A' for the Green and White as they look to repeat. The big-bodied power forward really came into his own last year as a part of UND's Heavy Line with Rhett Gardner and Luke Johnson. Poganski was a force in the middle of the ice, owning the front of the net and anchoring a line that was matched with opponent's top lines down the stretch. The St. 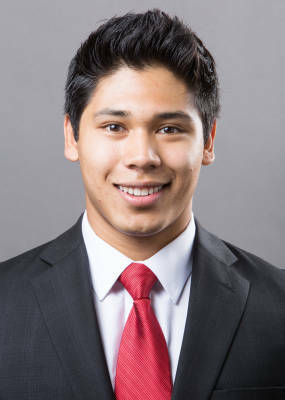 Cloud, Minn., native notched 10 goals and added 15 assists last season. 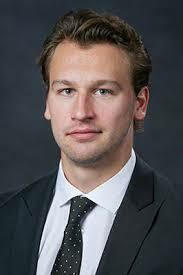 This year, Poganski has been named an Assistant Captain and will greatly factor again into UND's success. 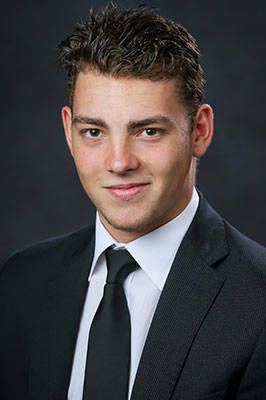 Another step forward for the St. Louis Blues draft pick will be an important piece in the Green and White's run to No. 9, this season. 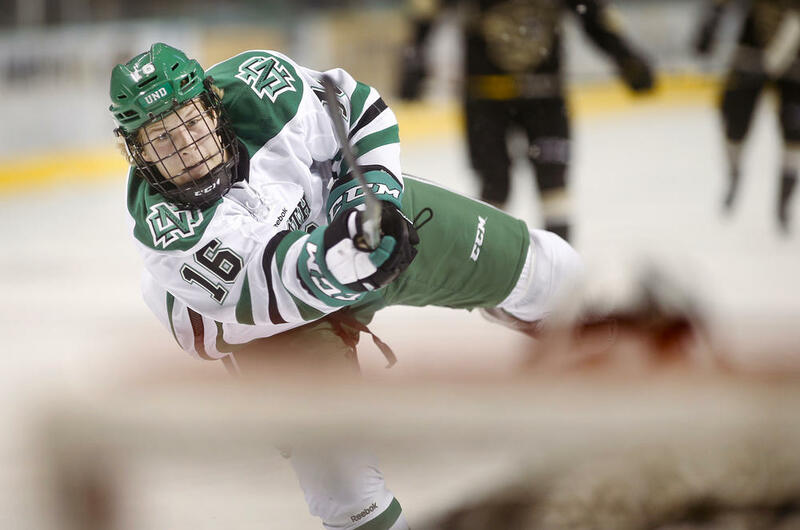 Much like Poganski, Tucker Poolman took another big step in his development as one of UND's most important defensemen last year on a squad chocked full of important defensemen. Poolman was fifth in the NCHC in defenseman scoring and notched career highs in assists (19) and points (24). The East Grand Forks, Minn., product will wear an 'A' for the 2016-17 team. Armed with a lethal slap shot from the point, Poolman is also incredibly steady on the back end and will anchor a great returning corps of D-men along with two-time Captain Gage Ausmus and sophomores Christian Wolanin and Hayden Shaw. Defense was the backbone of the 2015-16 title team and with Poolman on the back end once again, UND should be stellar, once again. Oof. Anyone else licking their chops? Looks like a special player. Hands, playmaking ability, vision and scoring touch, anyone? With Nick Schmaltz and Drake Caggiula gone, look for Mr. Jost to make an immediate impact. 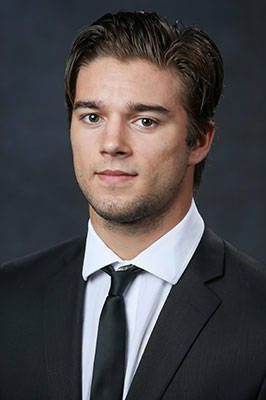 The Oslo, Norway native had a stalwart career with the Lincoln Stars of the USHL, posting 57 points last season. Hoff was eighth in the league in points and fifth in assists (37) and was named a USHL Third-Team All-star. Hoff, UND's first Norwegian-born product, twice captained Norway's World Junior Championship team. Hoff will certainly have his chance at Top 6 minutes in UND's effort to reload. to UND's local talent pool. Johnson, a Grand Forks native and former Central High Knight, continues a trend of local flavor that has spotted the Green and White over the last handful of years. The defenseman spent the 2015-16 season with the USHL's Dubuque Fighting Saints and tallied nine goals and 13 assists, helping Dubuque to the Clark Cup Final. A solid defenseman, Johnson will have the opportunity for minutes as UND looks to find a pair to join a returning corps. Losing the likes of Schmaltz, Caggiula, Stecher and LaDue, who will be the man to take the biggest step for the 2016-17 Green and White? Along with the previously mentioned Austin Poganski and Rhett Gardner, Shane Gersich showed flashes of greatness last year for UND. Gersich scored 9 goals and added two assists last season and scored the Green and White's first goal in their 5-1 National Title winning victory against Quinnipiac. The Chaska, Minn., product has tremendous top-end speed and a noticeable scoring touch in space. With that speed and touch, Gersich could very well have the opportunity to play on the top line with Boeser and potentially Jost, setting up a group that's loaded with a dynamic scoring knack. With opponents having to contend with Boeser and with what looks to be elite-level playmaking ability in Jost, Gersich should have time and space and DDC thinks big things are in store. DDC sees Gersich jumping up into the 30 point range and becoming a huge factor for the Green and white. It's good to be back, folks. Thanks again for reading and keep coming back for DDC's takes on UND hockey all season. Later this week, visit DDC as he looks at UND's biggest storylines for 2016-17, delves into his NCHC and NCAA preseason rankings and predictions and previews the season-opening exhibition against the Manitoba Bisons. We're just three days away from the glory of another banner raising as the Green and White hoist Green Banner No. 8 into the Ralph Engelstad Arena rafters on October 3 to kick off the 2016-17 season. Cheers and Fight On, Green and White!